More comfort, space and privacy – at half the price. A large selection of fully-equipped, monthly rental apartments in Barcelona. Yearly rental apartments in Barcelona in the best locations. Apartments in Barcelona for sale in the city centre and by the beach. AB Apartment Barcelona isn’t your typical rental agency. We’re more than just an accommodation provider; we aim to offer the ultimate Barcelona experience, with your comfort as our main priority. By choosing to rent your apartment through us, you’re in safe hands. Our professional staff of multilingual tourism experts will take care of you, from the moment you set foot in Barcelona right until you leave. Not only can you contact us by phone and email at any time, day or night, but we also have one office open 24 hours a day, 7 days a week, 365 days a year. What’s more, you can make the most of our experienced concierge team, who will provide everything you can think of for the best stay in the city. They will be more than happy to give you advice on things to see and do in and around the city, as well as insider tips for a truly authentic Barcelona experience. They`ll also help you out when it comes to organising your trip. Need FC Barcelona tickets? Sorted! Want a taxi to the airport? No problem! Looking for passes to the best museums in town? You got it! From the tiniest detail to the biggest request, if there`s anything you need, we have you covered. We aim to provide you with a complete service throughout our range of apartments in the city, from our designer Casa Saltor apartments in the same building as our office with a 24 hour concierge, our quirky studios by Las Ramblas right up to our three bedroom loft apartments in upper Barcelona. We truly value each of our guests and as a thank you for booking with us, you’ll have the chance to get your hands on some free gifts, including sailing trips along the coast, flamenco shows, vouchers for some amazing restaurants, and much more. And don’t forget our discounts on top Barcelona activities, exclusive to our clients. Save money on tours of the Sagrada Familia, bike rental, museum entry… the list goes on. Whether you’re oceans away, checking-in or just in the neighbourhood, drop by our office or pop us an email and say hi. We’ll tell you why we’re different, and proud of it. 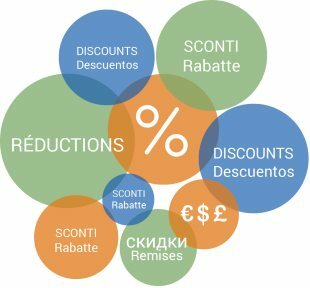 Why rent with AB Apartment Barcelona? Looking to spend some time in the beautiful city of Barcelona? Then make the most of your stay and choose AB Apartment Barcelona for your accommodation. AB Apartment Barcelona offers more than 500 Barcelona apartments for short or long-term stays in and around the Catalan capital. From luxury Barcelona apartments to studio apartments in Barcelona, we have a wide variety of accommodation all across the city, including the Eixample and Ramblas areas, as well as many beach apartments in Barceloneta. 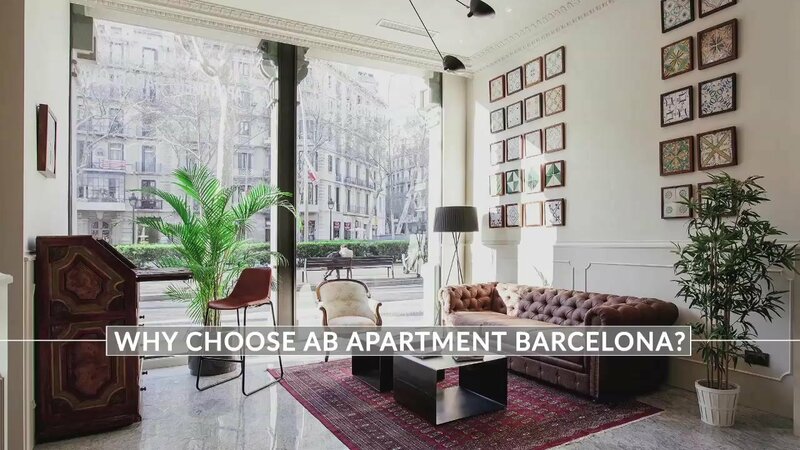 It doesn’t matter if you’re travelling solo, coming to visit Barcelona with family and friends or even looking to move here, you’ll be sure to find the right apartment for you with AB Apartment Barcelona. AB Apartment Barcelona has over 9 years of experience in renting Barcelona apartments to visitors from all over the world. Not only do we provide a range of fully furnished, quality apartments in Barcelona to tourists and holidaymakers, but we also work with international travel companies, allowing you to choose your holiday apartment in Barcelona from the best selection of Barcelona accommodation possible. Each of our self-catering apartments in Barcelona is fully equipped with everything you may need during your stay in Barcelona. What’s more, renting one of our Barcelona apartments allows you to take advantage of a comfortable living room, multiple bedrooms and your own kitchen – perfect for families and groups of friends visiting Barcelona. On our website we provide a detailed description of every Barcelona apartment available, allowing you to select your ideal apartment in Barcelona according to capacity, amenities, location and price. Since there are so many holiday apartments in Barcelona to choose from, we can even help you decide on your accommodation with our handy ‘My List’ feature which compares all of your Barcelona apartment options in one simple list. All of our holiday apartments in Barcelona are selected with care, and you can see photos of the interior and the surrounding areas of each apartment before you make your choice. We also provide helpful information on the neighbourhood of each of our apartments, so that you will know exactly what to expect from your temporary home in Barcelona. In order to continually improve our services, we always invite our previous guests to give us feedback on their stays in our Barcelona apartments. You will find these customer opinions near the apartment description page, offering you some additional guidance before you make your final choice. Our booking process is simple, but we want to make it even easier for you to choose your Barcelona accommodation, that’s why we aim to give you all the information you need so you can pick the perfect apartment in Barcelona for your stay. However, if you have a specific question about one of our self-catering apartments in Barcelona, making a reservation, or even just want some advice on what to see and do in Barcelona, then our multilingual Customer Service Team is on hand to help. Available seven days a week, they speak English, Spanish, Italian, French, German, Dutch, Chinese, Arabic and Russian, and are more than happy to assist you with any queries you might have before, during and after your stay in one of our holiday apartments in Barcelona. Why rent an apartment in Barcelona? • Choose to stay exactly where you want to stay in the city, whether it be on an historic, winding street near Las Ramblas or right on the seafront. Looking to move to Barcelona? We now have hundreds of apartments in Barcelona to rent for stays of anywhere from a few months to five years. Most of our long-term rentals in Barcelona are fully furnished and are ideal for those spending time studying in Barcelona, relocating to the city for business, or those who simply wish to enjoy everything that the Catalan capital has to offer, but on a more permanent basis. 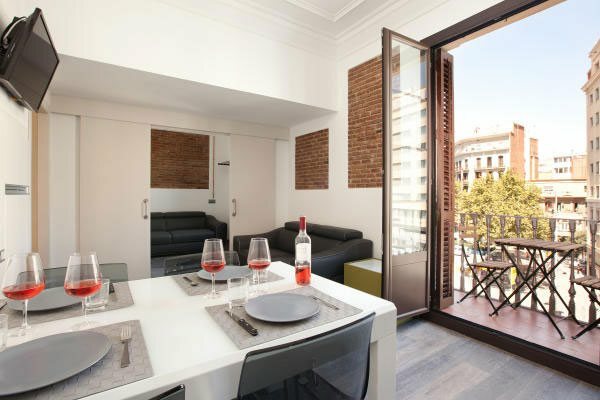 AB Apartment Barcelona also has many Barcelona apartments for sale, all of which are located in the best areas of the city, such as the Barceloneta Beach or the Gothic Quarter – known as the heart of Barcelona. 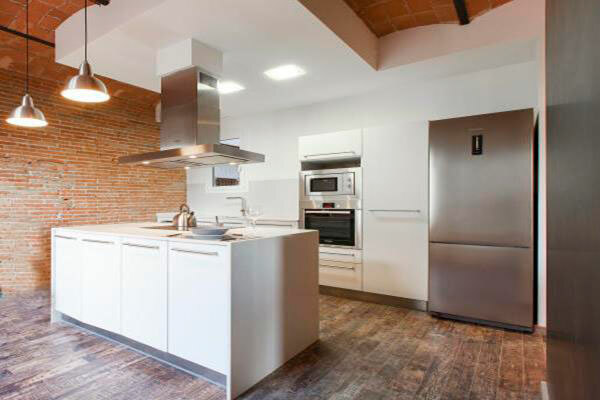 Some apartments in Barcelona already have all of the equipment and furniture you will need, but if you’ve got an eye for remodelling and design, then you will find plenty of our apartments are ready to be renovated, allowing you to create your perfect home in Barcelona. Staying in Barcelona allows you to really enjoy the city, while still having the option of visiting the picturesque Catalonian towns surrounding it for the day. But, if you fancy spending more time in some of the most beautiful areas bordering Barcelona, then AB Apartment Barcelona has several other holiday destinations for you to choose from. Why not make the most of the snow season in the Pyrenees, enjoy a week on the golden sands of Costa Dorada or visit the picturesque towns of the Costa Brava? Simply select your destination, enter your dates on our website and choose your ideal Pyrenees, Costa Brava, Sitges or Costa Dorada apartment! So, whether you’re moving to the city, exploring Barcelona for a week with family and friends, enjoying a romantic getaway or getting ready for a well-deserved city break, then you are sure to find the perfect Barcelona apartment with us. Your journey starts at www.apartmentbarcelona.com. See you soon! Save money on top Barcelona activities, attractions, tours and more when booking your apartment with us. From the Sagrada Familia to FC Barcelona, you can enjoy the best of Barcelona at a discounted price! 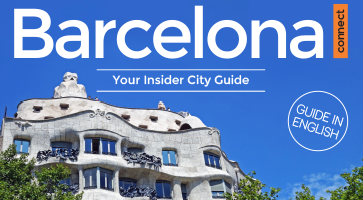 All the essential info for your time here from sights and attractions to events and getting around the city, plus some great insider tips from our Barcelona experts. Sign up to our newsletter and get 5% off your next stay! Thank you! You've successfully signed up to our newsletter! Check your email to enjoy your discount code on your next booking. The aim: to maintain a commercial relationship with the User. - To send advertising commercial communications by email, fax, SMS, MMS, social communities or any other electronic or physical means, present or future, that enables commercial communications. These communications will be made by COME2BCN, S.L. and will be related to their products and services, or from their collaborators or suppliers with whom a promotion agreement has been reached. In this case, third parties will never have access to personal data. - To carry out statistical studies. - To process orders or any type of request that is made by the user through any of the contact forms that are made available to him/her. Data conservation criteria: the data will be kept while there is a mutual interest to obtain the final aim. When it is no longer necessary for this purpose, it will be deleted with the adequate security measures to guarantee the pseudonymisation of the data or the total deletion of the same data. Communication of the data: The data will not be communicated to third parties, except under legal obligation. - The right of access, rectification, portability and deletion of your data and the limitation or opposition to its processing. - The right to file a claim with the Control Authority (agpd.es) if it is considered that the data management does not comply with current regulations. Mailing address: COME2BCN, S.L. GRAN VIA DE LES CORTS CATALANES, 558 Baixos 08011 BARCELONA (BARCELONA). The Users, by marking the corresponding boxes and entering data in the fields marked with an asterisk (*) in the contact form or presented in download forms, explicitly, freely and unequivocally accept that their data is necessary to grant their request by the provider, being voluntary the inclusion of data in the remaining fields. The User guarantees that the personal data provided to the COME2BCN, S.L is true and is responsible for communicating any modification thereof. COME2BCN, S.L informs and explicitly guarantees users that their personal data will not in any case be transferred to third parties and that whenever they make any kind of personal data transfer, the unequivocal consent of the Users will be requested in advance. All data requested through the website is mandatory, as it is necessary for the provision of an optimal service to the User. In case all the data is not provided, it is not guaranteed that the information and services provided will be completely adjusted to your needs. In accordance with the provisions on the regulations on personal data protection, COME2BCN, S.L. is complying with all the provisions of the GDPR regulations for the management of personal data under its responsibility, and clearly with the principles described in article 5 of the GDPR, for which they are managed in a lawful, loyal and transparent manner in relation to the interested party and adequate, pertinent and limited to what is necessary in relation to the purposes for which they are used. COME2BCN, S.L. guarantees that it has implemented appropriate technical and organisational policies to apply the security measures established by the GDPR in order to protect the rights and freedoms of the Users and has communicated the appropriate information so that they can exercise them. Access and registration on this social network is prohibited to minors under fourteen (14) years. For its part, if the user is unable, COME2BCN, S.L. warns that the consent of the owner of the parental authority or guardianship of the user or his/her legal representative will be necessary for accessing and using this page and will be explicitly exempt from any liability that may arise from the use of the official website by minors and disabled people being said responsibility of their legal representatives in each case. The user is informed that COME2BCN, S.L. is the owner of the domain https://www.apartmentbarcelona.com/en/, as well as the profiles of official social networks, being responsible for the files and the way in which the personal data of the user is collected and stored as a consequence of the registration and use of the page within this social network, without prejudice to the managements for which the titular entity of the social network in which our page is responsible. Personal data provided voluntarily by the user will be part of a data handling responsibility of COME2BCN, S.L. with the purpose of offering information about the entity by e-mail, fax, SMS, MMS, social communities or any other electronic or physical means, present or future, that enables commercial communication, sending a newsletter to those users who subscribe, exchange information with COME2BCN, S.L. and other users and establish communication with third parties. From the moment in which the user uses this official page he/she gives his/her free, unequivocal, specific, informed and explicit consent for the processing of his personal data by COME2BCN, S.L., for the correct provision of said services in accordance with the provisions of this policy. The user is free to use the page within this social network, so if the user does not agree with the processing of their data for these purposes, you should not use it or provide your personal information. The user can share texts, photos, videos and other information and / or content that will be subject to both this policy and the terms and conditions of the platform. The user will be responsible for all the contents that he/she publishes in respect to the current legislation, the present policy and the rules of the platform. The user may only publish on this page personal data, photographs and information or other content whose ownership belongs to him or in respect of which he holds the authorization of third parties. COME2BCN, S.L. shall have the right to remove from this official page - unilaterally and without prior communication or authorization from the user - any content published by the user when the user infringes or violates current legislation, the rules established in this policy and the Rules of the Platform. The user is advised that all the information and content published within the social network may be known by the other users of the official website and the social network platform. Consequently, all the information and content published by the user will be communicated to the rest of the users by the very nature of the service. COME2BCN, S.L. only plans to carry out assignments or communications of data that, due to the regulations in force, must be made to judges, courts, public administrations and competent administrative authorities. COME2BCN, S.L. warns the user that this entity is only responsible and guarantees the confidentiality, security and handling of the data in accordance with this policy, with respect to the personal data collected by the user through this official website in this social network, not having any kind of responsibility with respect to the handling and subsequent use of personal data that could be carried out both by the owner of the social network and by third party service providers of the information society that could access such data by reason of the provision of their services or exercise of their activity, third parties that establish hyperlinks to the social network, or those who are responsible for the hyperlinks. COME2BCN, S.L. warns the user that, except for the existence of a legally constituted representation, no user can use the identity of another person and communicate their personal data, so the user at all times must take into account that he/she can only provide personal data corresponding to their own identity and that they are adequate, pertinent, current, accurate and true. In any case, the user must respect the privacy of third parties, whether they are users or not of the social network or page https://www.apartmentbarcelona.com/es/. Also, the user can consult the rules and policies published by the owner of the social network for the use of it. COME2BCN, S.L., the business responsible for the website, makes this document available to users, with which it intends to comply with the obligations set forth in Law 34/2002 of 11th July by 'Servicios de la Sociedad de la Información y del Comercio Electrónico' (Services of the Information Society and Electronic Commerce) (LSSICE), BOE No. 166, as well as to inform the conditions of use to all users of the website. Any person accessing this website assumes the role of the user, committing to the observance and strict compliance with the provisions set forth herein, as well as any other legal provision that may be applicable. COME2BCN, S.L. reserves the right to modify any type of information that may appear on the website, without there being any obligation to pre-advise or inform the users, being understood as sufficient with the publication on the website of COME2BCN, S.L. Enrolled in the Registry (Mercantile / Public): Commercial Registry of Barcelona, volume 22.599, page 53, sheet B-39559, inscription 1. The website, including but not limited to its programming, editing, compilation and other elements necessary for its operation, the designs, logos, text and / or graphics, are the property of COME2BCN, S.L. or, if applicable, it provides a license or expresses authorisation by the authors. All the website content is duly protected by the rules of intellectual and industrial property, as well as being registered in the corresponding public registers. Regardless of the purpose for which they were intended, the total or partial reproduction, use, exploitation, distribution and marketing, requires in any case prior written authorisation by COME2BCN, S.L. Any use not previously authorised is considered a serious breach of the intellectual or industrial property rights of the author. The designs, logos, text and / or graphics outside of COME2BCN S.L. that may appear on the website belong to their respective owners, who are themselves responsible for any possible controversy that could arise with respect to them. COME2BCN, S.L expressly authorises third parties to redirect directly to the specific contents of the website, and in any case redirect to the main website of https://www.apartmentbarcelona.com/es/. COME2BCN, S.L. recognises the corresponding rights of intellectual and industrial property in favour of its owners, not implying their mere mention or appearance on the website the existence of rights or any responsibility on them, as well as endorsement, sponsorship or recommendation by the same. To make any kind of observation regarding possible breaches of intellectual or industrial property rights, as well as any of the contents of the website, you can do so through the following email: info@apartmentbarcelona.com. COME2BCN S.L. exempts itself from any type of responsibility derived from the information published on its website whenever this information has been manipulated or introduced by a third party. This website can use technical cookies (small information files that the server sends to the computer of the person accessing the page) to carry out certain functions that are considered essential for the proper functioning and visualisation of the site. The cookies used have, in any case, a temporary nature, with the sole purpose of making browsing more efficient, and disappear when the user's session ends. In any case, these cookies provide personal data by themselves and will not be used for the collection of them. They can also be used to measure the audience, traffic parameters, control the progress and number of entries, etc., being in these cases technically dispensable cookies but beneficial for the user. This website will not install dispensable cookies without the prior consent of the user. The user has the possibility to configure his browser to be alerted of the reception of cookies and to prevent the installation on his/her computer. Please, consult the instructions of your browser to find out further information. From the website, it is possible to be redirected to content from third-party websites. Since COME2BCN, S.L. cannot always control the content introduced by third parties in their respective websites, it does not assume any responsibility in respect to the said content. In any case, proceeding to the immediate withdrawal of any content that may contravene national or international legislation, morality or public order, proceeding to the immediate removal of the redirection to said website, bringing to the attention of the competent authorities the content in question. COME2BCN, S.L. is not responsible for the information and stored content, by way of example but not limited to forums, chats, blog generators, comments, social networks or any other means that allows third parties to publish content independently on the website of COME2BCN, S.L.. However, and in compliance with the provisions of articles 11 and 16 of the LSSICE, it is made available to all users, authorities and security forces, collaborating actively in the withdrawal or, where appropriate, blocking of all the content that may affect or contravene national or international legislation, the rights of third parties or morality and public order. In the event that the user considers that there's any content on the website that could be susceptible to this classification, please notify the website administrator immediately. This website has been reviewed and tested to work properly. In principle, the correct operation can be guaranteed 365 days a year, 24 hours a day. However, COME2BCN S.L. does not rule out the possibility of certain programming errors, or that occur caused by force majeure, natural disasters, strikes or similar circumstances that make it impossible to access the website. The website's servers can automatically detect the IP address and domain name used by the user. An IP address is a number automatically assigned to a computer when it connects to the Internet. All this information is registered in a properly registered server activity file that allows the subsequent processing of the data in order to obtain only statistical measurements that allow the knowledge of the number of page impressions, the number of visits made to web servers, the order of visits, the access point, etc. For the resolution of all disputes or issues related to this website or the activities developed therein, Spanish legislation will apply, to which the parties expressly submit, being competent to resolve all disputes arising or related to its use the Courts and Tribunals closest to BARCELONA. Due to the entry into force of the modification of the "Law of Services of the Information Society" (LSSICE) established by the Royal Decree 13/2012, it is mandatory to obtain the explicit consent of the user of all web pages that use dispensable cookies, before it navigates them. Cookies and other similar technologies such as local shared objects, flash cookies or pixels, are tools used by Web servers to store and retrieve information about their visitors, as well as to offer the correct functioning of the site. By using these devices, the Web server is allowed to remember some information concerning the user, such as their preferences for viewing the pages of that server, name and password, products that interest them most, etc. According to the EU directive, cookies that require informed consent by the user are analytical cookies and advertising and affiliation cookies, except those of a technical nature and those necessary for the operation of the website or the provision of services, expressly requested by the user. - Analytical cookies: collect information on the use of the website. - Social cookies: are those necessary for external social networks. - Affiliate cookies: allow you to track visits from other websites, with which the Website establishes an affiliation contract (affiliate companies). - Advertising and behavioural cookies: collect information about preferences and personal choices (retargeting). - Technical and functional cookies: they are strictly necessary for the use of the website and for the provision of the service contracted. COOKIES THAT ARE USED ON THIS WEBSITE The website uses temporary session cookies, which expire either at the end of the session or expire after a certain period of time but not exceeding 30 days. Statistical analysis cookies: Each time a user visits the website, a cookie is generated that allows them to track and analyse their behavior. This information is collected to measure the activity of the web for the elaboration of navigation profiles in order to improve the user experience. These cookies provide us with information such as the browser, device type, time on page, identify a new or recurring user, etc. This information is never associated with any personal data that allows you to identify yourself. The user has the option to accept, block or delete the cookies installed in their terminal. All browsers allow you to change the configuration of cookies. Internet Explorer: Internet Options> Privacy> Configuration.